The Port of Southampton is a passenger and cargo port in the central part of the south coast of England. The modern era in the history of the Port of Southampton began when the first dock was inaugurated in 1843, Whether you are traveling with groups book Britannia Airport Cars ground transportation to reach at specified timing before or after your holidays to and from Southampton Cruise Port. While Booking the Service please specify The Ship Name and Terminal Name at the End of Booking and our driver will Greet you at Meeting Point with your Name Board. ü Our drivers are punctual. ü You will always get comfortable services from us. ü Britannia Airport cars are always available for you, 24x7x365 for its services. ü No hidden charges will be required. ü No extra charge (only parking fees will be charged). ü One Way and Return Both Facilities available. Which Kinds of Cars/ MiniCabs/ Coaches does Britannia offer? Cars are available as per your demands, you can hire a C4 Picasso, Hyundai 800, Toyota, BMW or Mercedes, we cover all the requirements. You can contact to our customer support for any of these cars and also can book directly on the website of Britannia Airport Cars. Our cars will be available at the Cruise Port right before reaching your cruise. How Britannia Airport Cars Help You? Our vehicles are available for Southampton Cruise Port Transfers. As we know that finding a taxi quickly is not easy enough. 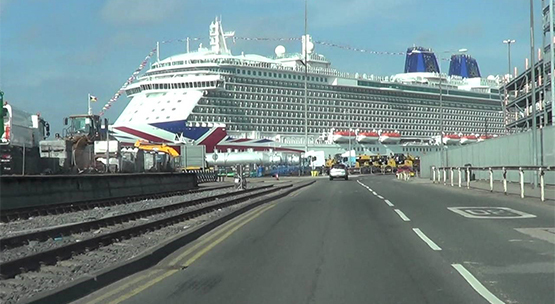 So, why are you waiting for just book a Minicab from Britannia Airport Cars right from the cruise and our driver will be waiting there before you reach on the Southampton Cruise Port. For your comfort, our drivers always try some steps to make your transfer easy, you can hire them to reach to your destination with short and smooth roads, because they have a better knowledge about each and every route. They can also entertain you by music and conversation.